The patch features some minor fixes within the game and some additional features. The patch also prepares the game to support the upcoming downloadable Level Editor, which will be available next week. * Mission 4: ISERCom; Some people have experienced problems like getting stuck in the corridor fight in the middle of Mission 4. (The doors should open automatically after x minutes). 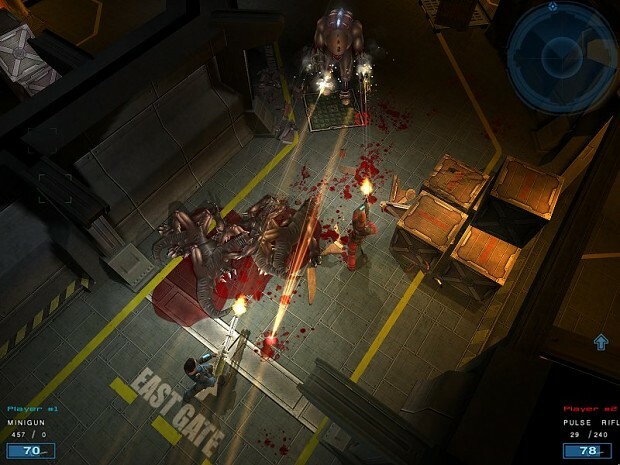 * Mission 7: Provectus; in co-op, players should be able to continue the game if they die during the Provectus reactor fixing. * After completing the game on "Hard" difficulty, a new difficulty setting "Very Hard" becomes available. * After completing the game on "Very Hard" difficulty, the ultimate difficulty setting becomes available: "Impossible". * "Reset After Load" added to Shadowgrounds Launcher; if the game crashes when you press "START" in the Loading Menu, disabling this feature may help on some graphics cards. Patch 1.04 has not been tagged yet.